The smithy was the centre of the village maintenance system. Smiths made or mended hinges, gates, bolts and brackets, and branding tools for cattle and sheep. They could fit or alter handles to scythes and other tools. 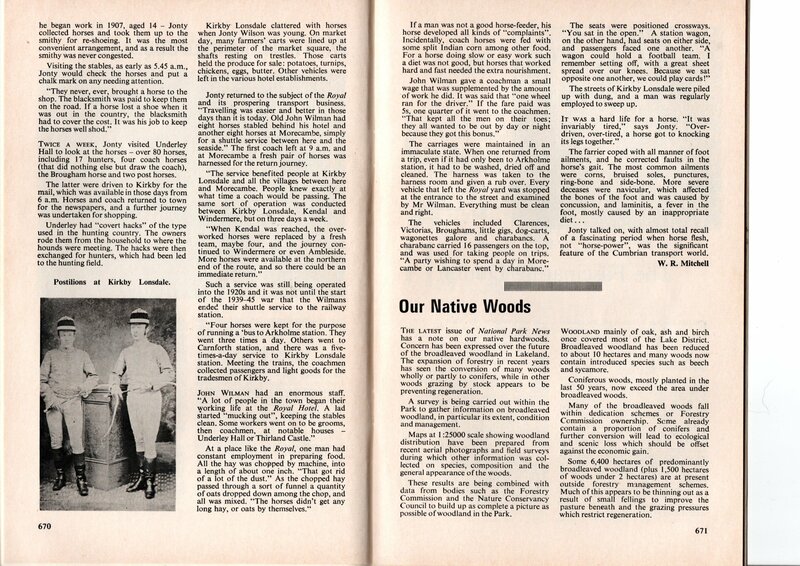 An apprentice's job was to turn up at 5-45 am and light the fire using wood shavings and crushed coke. The smith began work at 6 am. 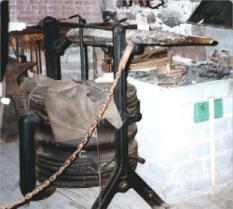 The drum bellows shown here force air through the coke fire in the hearth. Throughout the day the apprentice had to keep the fire burning at the right heat for the job being done. Crafty farmers would sometimes bring an unbroken young 'un to have its feet trimmed, knowing that the smith would have it half tamed by the time he'd finished. Probably the smith charged extra for the time it took! 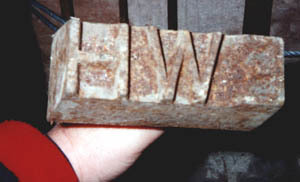 The smithy may have been responsible for earlier versions of this - a commercially produced cattle branding iron. The head, measuring 8" by 2" by 2", is very heavy. It has to be this large to hold sufficient heat to effect a permanent mark. Letters: E W H.
When he retired, Reuben McCormack's smithy was turned into a garage and workshop for mending the local tractors, wagons and cars. 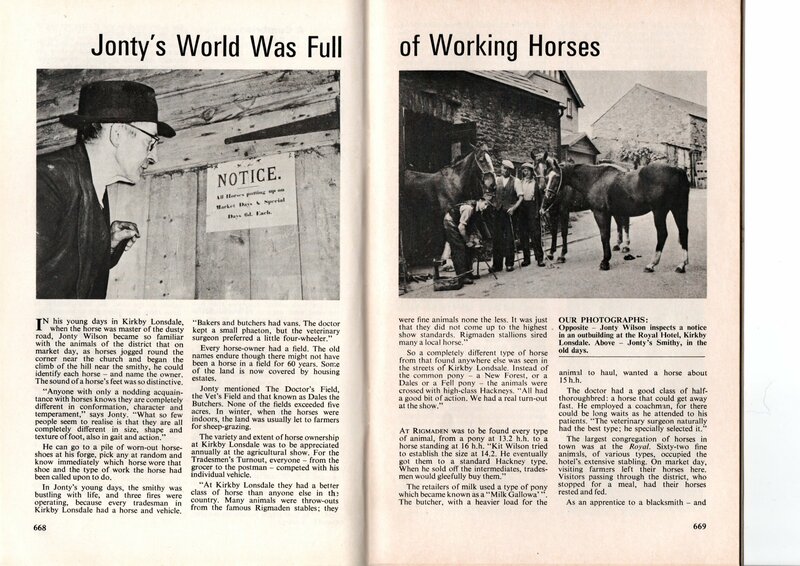 Although the smithy disappeared as a place for handling horses, its tradition of serving the community, its work and transport still continued.